Andriaki Shipping Co Ltd., a leading world-class shipping company, currently operating a modern fleet of tankers. The Anthony Veder Group was incorporated in 1937 as a shipowner and port agent. 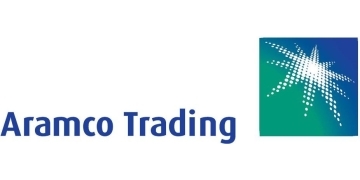 Saudi Aramco Products Trading Company “ARAMCO TRADING” is 100% Saudi Aramco affiliate company. ArcelorMittal is the world's number one steel company, present in more than 60 countries. It has led the consolidation of the world steel industry and today ranks as the only truly global steelmaker. Every day, the 30,000 people of Archer Daniels Midland Company (NYSE: ADM) turn crops into renewable products that meet the demands of a growing world. AMP (Asia Maritime Pacific) is a leading ship owner and operator in both Minibulker/MPP and the Handysize Sectors, with special focus on the Asia-Australia regions, China-West Africa routes and China-North/South America. Auburn Shipmanagement is a newly started Ship Management company located in Dubai, UAE. Our aim is to provide quality and efficient services at a cost effective prices for our clients.